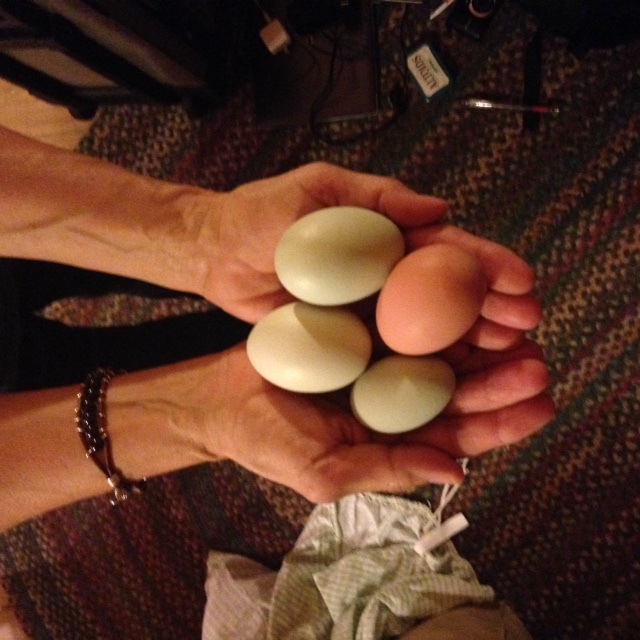 When our youngest batch of chickens began laying eggs recently, I was reminded that young chickens (6 months or so) start small. Not only are their eggs half the size of our fully mature chickens, but the shells of their brand new eggs are fragile. Easily breakable. Their texture is likely chalky or bumpy. The yolks are likely irregular. With time and practice, however, these young hens will lay eggs comparable to the beautiful light blue and light brown organic eggs we’ve come to enjoy from our chickens. Similarly, writing takes practice and time. My early writing attempts were far bumpier, much less polished than what I produce today. But I had to start somewhere. That’s why I don’t throw away a box of drafts labeled “Mary’s Really Bad Early Manuscripts” from years ago. They were the best I could do as a beginning writer, and I respect my early efforts–and those of aspiring writers.